The first option @preload_frameworks does pretty much what it says, it forces the Rails framework to be eagerly loaded on boot. When this option is not enabled, framework classes are loaded lazily via autoload. In multi-threaded environments, the framework needs to be eagerly loaded before any threads are created because of thread safety issues with autoload. We know that loading the framework isn’t threadsafe, so the strategy is to load it all up before any threads are ready to handle requests. The @cache_classes option controls whether or not classes get reloaded. Remember when you’re doing “TDD” in your application? You modify a controller, then reload the page to “test” it and see that things changed? Ya, that’s what this option controls. When this option is false, as in development, your classes will be reloaded when they are modified. Without this option, we wouldn’t be able to do our “F5DD” (yes, that’s F5 Driven Development). This option, @dependency_loading controls code loading when missing constants are encountered. For example, a controller references the User model, but the User constant isn’t defined. In that case, if @dependency_loading is true, Rails will find the file that contains the User constant, and load that file. We already talked about how code loading is not thread safe, so the idea here is that we should load the framework, then load all user code, then disable dependency loading. Once dependency loading is disabled, framework code and app code should be loaded, and any missing constants will just raise an exception rather than attempt to load code. @allow_concurrency is my favorite option. This option controls whether or not the Rack::Lock middleware is used in your stack. Rack::Lock wraps a mutex around your request. The idea being that if you have code that is not threadsafe, this mutex will prevent multiple threads from executing your controller code at the same time. When threadsafe! is set, this middleware is removed, and controller code can be executed in parallel. Whether a multi-process setup or a multi-threaded setup is best for your application is beyond the scope of this article. Instead, let’s look at how the threadsafe! option impacts each configuration (multi-proc vs mult-thread) and compare and contrast the two. I’m going to lump the first three options (@preload_frameworks, @cache_classes, and @dependency_loading) together because they control roughly the same thing: code loading. We know autoload to not be threadsafe, so it makes sense that in a threaded environment we should do these things in advance to avoid deadlocks. @cache_classes is enabled by default regardless of your concurrency model. In production, Rails automatically preloads your application code so if we were to disable @dependency_loading in either a multi-process model or a multi-threading model, it would have no impact. Among these settings, the one to differ most depending on concurrency model would be @preload_frameworks. In a multi-process environment, if @preload_frameworks is enabled, it’s possible that the total memory consumption could go up. But this depends on how much of the framework your application uses. For example, if your Rails application makes no use of Active Record, enabling @preload_frameworks will load Active Record in to memory even though it isn’t used. So the worst case scenario in a multi-process environment is that a process might take up slightly more memory. This is the situation today, but I think that with smarter application loading techniques, we could actually remove the @preload_frameworks option, and maintain minimal memory usage. Rack::Lock is a middleware that is inserted to the Rails middleware stack in order to protect our applications from the multi-threaded Bogeyman. This middleware is supposed to protect us from nasty race conditions and deadlocks by wrapping our requests with a mutex. The middleware locks a mutex at the beginning of the request, and unlocks the mutex when the request finishes. This controller has a classic read-update-write race condition. Typically, you would see this code in the form of variable += 1, but in this case it’s expanded to each step along with a sleep in order to exacerbate the concurrency problems. Our code increments a counter every time the action is run, and we’ve set a trap so that we can ask the controller what the count is. First, let’s test against a threaded webserver with threadsafe! disabled. That means we’ll have Rack::Lock in our middleware stack. For the threaded examples, we’re going to use the puma webserver. So we see that Rack::Lock is ensuring that our requests are running in a thread safe environment. You may be thinking to yourself “This is awesome! I don’t want to think about threading, let’s disable threadsafe! all the time!”, however let’s look at the cost of adding Rack::Lock. Did you notice the run times of our test program? The first run took 1 min 46 sec, where the second run took 24 sec. The reason is because Rack::Lock ensured that we have only one concurrent request at a time. If we can only handle one request at a time, it defeats the purpose of having a threaded webserver in the first place. Hence the option to remove Rack::Lock. Now let’s look at the impact Rack::Lock has on a multi-process webserver. For this test, we’re going to use the Unicorn webserver. We’ll use the same test program to generate 5 concurrent requests 100 times. Now let’s run the same test but with threadsafe! enabled. We learned from our previous tests that we’ll get a race condition, so let’s see the race condition in action in a multi-process environment. Strange. Our counts total 500 again despite the fact that we clearly saw this code has a horrible race condition. The fact of the matter is that we don’t need Rack::Lock in a multi-process environment. We don’t need the lock because the socket is our lock. In a multi-process environment, when one process is handling a request, it cannot listen for another request at the same time (you would need threads to do this). That means that wrapping a mutex around the request is useless overhead. I think this blurgh post is getting too long, so let’s wrap it up. The first three options that config.threadsafe! controls (@preload_frameworks, @cache_classes, and @dependency_loading) are either already used in a multi-process environment, or would have little to no overhead if used in a multi-process environment. The final configuration option, @allow_concurrency is completely useless in a multi-process environment. 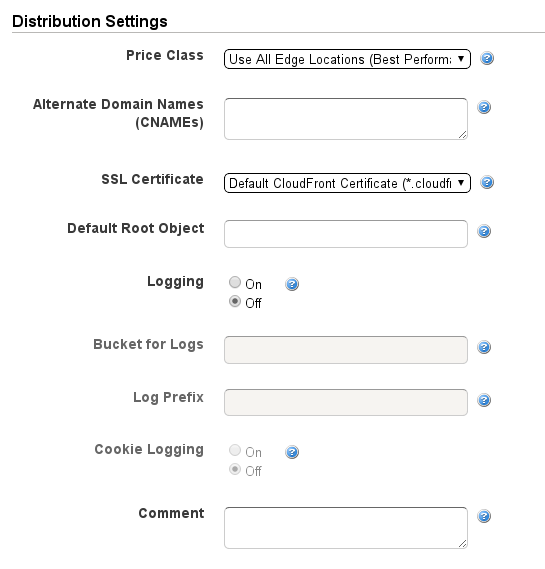 In a multi-threaded environment, the first three options that config.threadsafe! controls are either already used by default or are absolutely necessary for a multi-threaded environment. Rack::Lock cripples a multi-threaded server such that @allow_concurrency should always be enabled in a multi-threaded environment. In other words, if you’re using code that is not thread safe, you should either fix that code, or consider moving to the multi-process model.